Well-organized, environmental-friendly gardens give a great deal of satisfaction. No matter whether you're a newbie to gardening or a seasoned professional, you'll need the right garden supplies if you want to enjoy gardening. With the help of quality equipment, tools, and decorating accessories, you can create most pleasant and eye-catching gardens. If you're planning to grow vegetable plants, flowers, or lawns, you need a variety of supplies such as seeds, bulbs, watering equipment, and gardening tools like shears, lawn aerator, mower, garden fabrics, crop netting, seed trays, straw bales, ground staples, machetes and more. Choosing the right garden supplies is half the battle when it comes to planting, growing, and maintaining peaceful and healthy outdoor space. Buy the Best you Can Afford: First and foremost, consider the quality. Skilled people using top-quality materials make excellent equipment. You may find the initial cost of such equipment expensive. However, it is worth investing on quality tools rather than buying cheaper ones and having trouble with repair and maintenance. Avoid Buying Unnecessary Equipment: If you've a smaller garden, you may not need larger equipment such as rotary tiller, ditch diggers, etc. Moreover, even if you do need such large equipment, you may need them once or twice a year. So, it is better to rent them rather than investing on such expensive and large equipment. Renting such garden supply costs only a fraction of their actual buying cost. Moreover, you don't need to spend on repair and maintenance cost. Seek Help from Local Experts: Consult professionals to know about the equipment that you're planning to buy. You can contact equipment renting shop owners. They will know which equipment are strong and withstand rough conditions and which are not; otherwise, they need to frequently repair or buy new equipment. Know Where to Buy: Before buying equipment, compare quality and prices between different hardware stores. Visit different shops and get a wide selection. Ask the salesperson or shop owners about the benefits of different brands. After researching you'll know which brand, what quality, and price-range best suits your needs. Evaluate Thoroughly: Examine equipment carefully before buying, watch out for poorly fitted bolts, screws, and joints. If your garden supplies have moving parts, test them for smooth operation and check for whirring sound or other irregularities. How to Buy Garden Plants? Plants are bought at several stages in their life cycle, from seed to flowering plants. Let's see some of the different forms in which plants are available. Seeds: Most plants are available as seeds. Usually, seasonal flowers, vegetables, and fruits are available as seeds. Seeds are easy to store and maintain and are the least expensive way for purchasing. However, the disadvantage is, some of these garden supplies require controlled environment before they will germinate. Bulbs: These are a group of different underground storage organs. Like seeds, bulbs have some advantages; they are small, easy to preserve, and less expensive. However, they are easier to begin than seeds; you just need to put it in a hole at the right time, they will surely grow and make a flower. Bare-root: Bare-root plants are less expensive than containers. Some seasonal fruits and roses are available in this form. However, bare-root forms are available only when the weather is cool enough to keep them dormant. They start growing once the weather becomes warm and must be planted straight away. 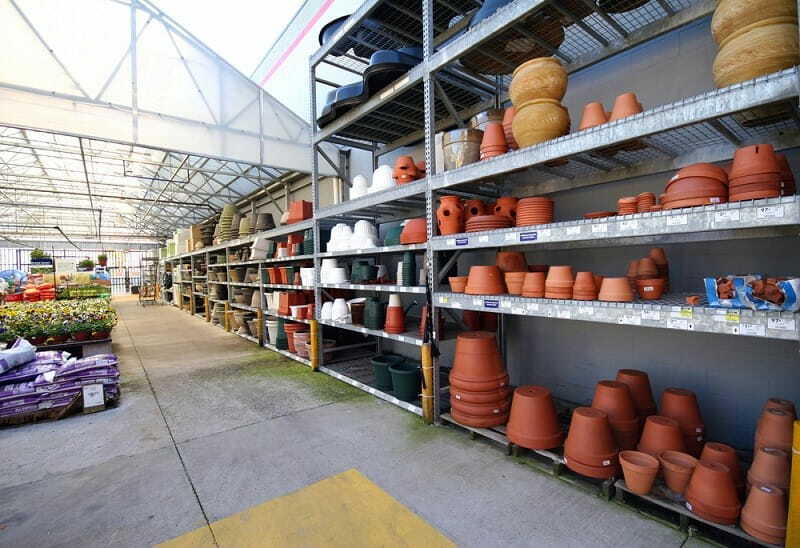 Containers: This is the most expensive and most common garden supplies among plant forms. Containers are available throughout the year and a wide range of sizes available in containers. The main benefit is, you need not wait for it to grow, it will look like a plant as soon as you plant it. 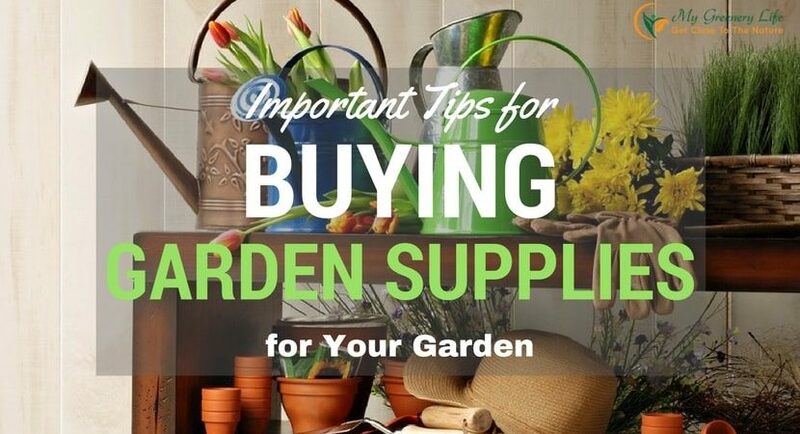 There are a lot of garden supplies you should buy for your garden. In this article, I would like to introduce the most common things. If you still have some questions about other garden supplies, do not hesitate to leave a comment, we can discuss more. Thank for reading!